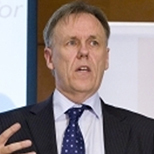 Prof. Brian Lamb was Chair of the Inquiry into Parental Confidence in the Special Educational Needs, which recommended the original creation of Achievement for All. He was Chair of the Special Education Consortium for ten years and a founding board member of Every Disabled Child Matters. He is also a visiting Professor in Special Educational Needs and Disability at Derby University, and a Visiting Fellow at London South Bank University looking at social innovation in public services. Brian was awarded an Honorary Doctorate by Middlesex University for his work on SEND. He has published widely on SEND issues. After a long career as a senior leader in the voluntary sector he now works with local authorities, parents' groups, education leaders and the voluntary sector to bring about positive change for children with Special Educational Needs and vulnerable learners. He has been Chair of Achievement for All since 2011.